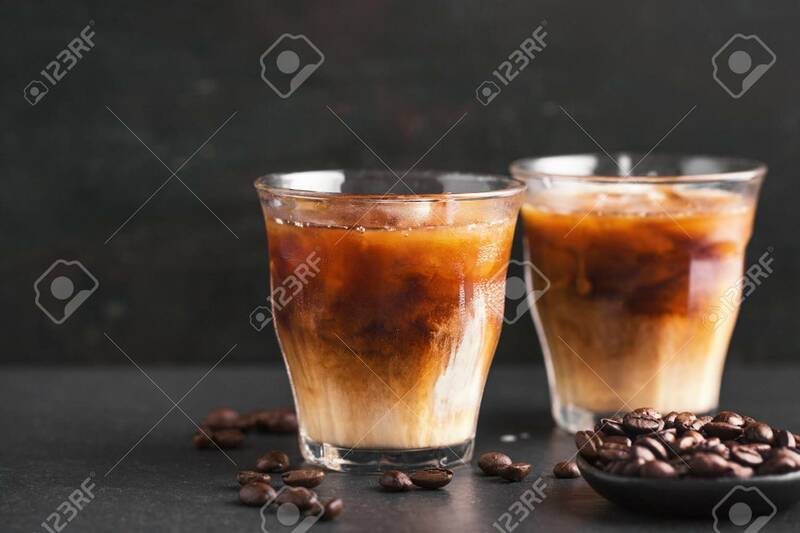 Tasty Fresh Cold Iced Coffee With Milk In Glasses On Table. Horizontal With Copy Space. Lizenzfreie Fotos, Bilder Und Stock Fotografie. Image 114631588.